WorldSBK returns to Jerez in 2019 – Tickets on sale now! The MOTUL FIM Superbike World Championship will visit the Circuito de Jerez – Ángel Nieto in 2019! 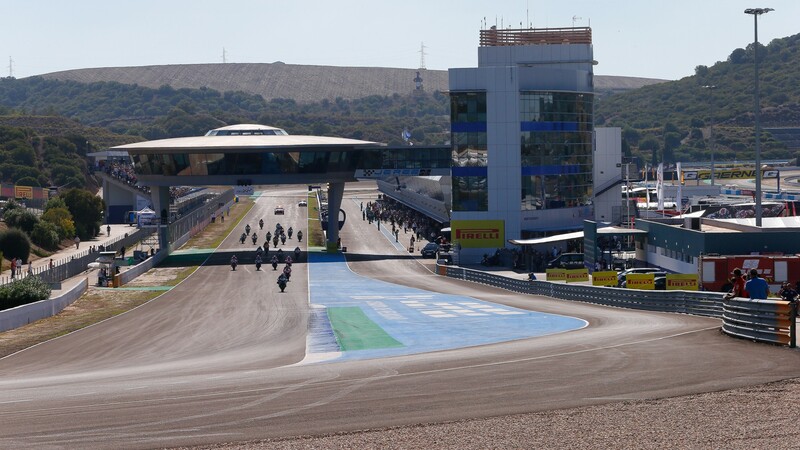 After a one-year absence, the series returns next season to the Spanish track, one of the most beloved venues in the world of motorbike racing. The sound of roaring engines will fill every corner of the Andalusian circuit from June 7th to 9th, but WorldSBK fans can already purchase their tickets for this unforgettable event! Tickets are not numbered, so fans can move freely between the different grandstands, as well as enjoy access to the Paddock and Paddock Show. Children from the ages of 3 to 14 get a 50% discount on their passes (access is free for children under the age of 3) All tickets also include full access to Friday’s sessions. Ticket prices for the Spanish Round vary from €12.50 to €40. As a bonus, any fans who have already purchased a MotoGP™ pass for the 2019 Spanish GP can enjoy special discounts on their Jerez WorldSBK weekend tickets. Available from: November 23rd, 2018 – June 9th, 2019. Includes full access to the circuit on Friday. Available from: November 23rd, 2018 – May 1st, 2019. Buy any ticket for the 2019 Spanish GP at Jerez and get this special deal for the WorldSBK Round (both offers also include full Friday access). Click here to buy your tickets and enjoy the full WorldSBK experience!